The Tornado F.Mk 3 retired from RAF service in 2011. The type was derived from a bomber and earned a reputation for poor agility and performance, especially at medium and high altitude. Though its crews will defend its abilities, and are keen to point out that it was good at what it was designed to do (the long range interception of bombers over the North Sea), in international exercises where it faced opposition from modern fighters it was always fighting from a back foot. Occasionally superior tactics allowed it to do well (once a single F.3 ‘downed’ three F-15s, though admittedly the Tornado was the only ‘survivor’ from a flight of four), but generally it suffered from over-specialisation and an engine designed for low-level flight. It was also hindered by the weight of variable geometry wings (one pilot who had flown both the F-14 and F-15 noted what a dog the former type was in the merge, saying that the ‘Top Gun’ film was rather misleading). It benefited from long-range, a decent data-link and a two man crew. Its Sky Flash missiles (prior to AMRAAM replacing them) were reported to have been the most reliable medium-range missile of all time, with a probability of a lock-on far greater than even the AIM-120 AMRAAM, though it did have a notoriously short-range. The Tornado was rather late in receiving AMRAAM and struggled when set against active radar missile armed fighters in exercise. But in judging the effectiveness of the F.Mk 3 there is one facet of its performance that has only recently been declassified. 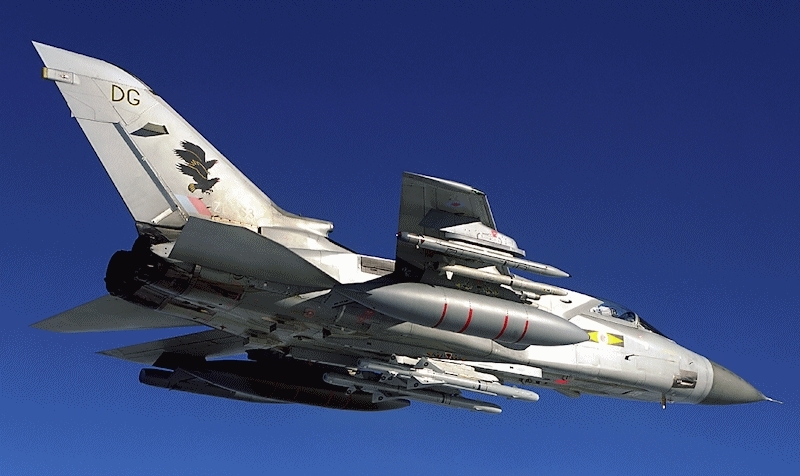 According to two Tornado F.Mk 3 pilots that Hush-Kit spoke to, the radar had some secret modes that in the event of war would have given the fighter an unfair advantage: powerful ‘aggressive’ electronic warfare capabilities. That this has only recently come into the public arena begs the question if other fighter radars of this generation had similar capabilities. Perhaps it was these that led to the short-lived EF-3 concept, an ALARM-armed role for the Tornado F.Mk 3 from the early 21st Century that could have prolonged the type’s service life. The other reason for the development of the “EF3” was the excellent directional RWR system fitted as standard to the F3. It was far better than the RWR fitted to the GR4 and was good enough to target the ALARM’s without the additional sensor & processing kit needed by most wild-weasel type aircraft. What the hell is wrong with aviation nerds?